This spot in the north-east corner of Hyde Park was once home to the famous Tyburn hanging tree. The first recorded execution there was in 1196. 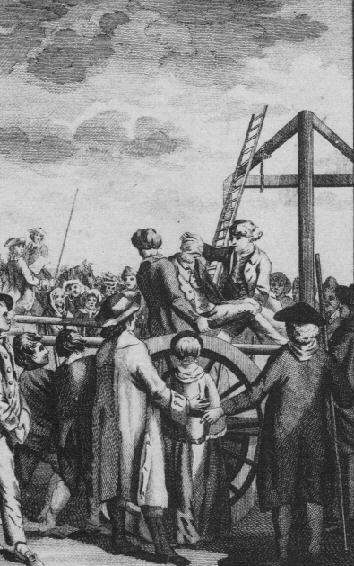 In 1571, the tree was replaced by an eighteen foot high gallows that could hang 24 people at once. It is said that the tradition of free speech here started with the final words of the condemned felons, who could speak freely on subjects otherwise taboo. From 1855 to 1866, Hyde Park was the scene of sporadic public assembly and rioting. The harder the police tried to ban demonstrations, the more people would gather. Finally in 1872, Parliament passed The Royal Parks and Gardens Regulation Act. 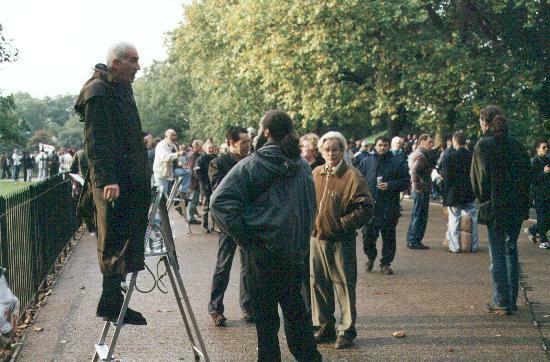 This provided for a space in the north-east corner of Hyde Park set apart for public speaking. Many famous people have since spoken here, including George Orwell, Lenin, Marx, and Engels. These days, the most popular time amongst orators is Sundays, but you may find speakers airing their views at any time on any day.